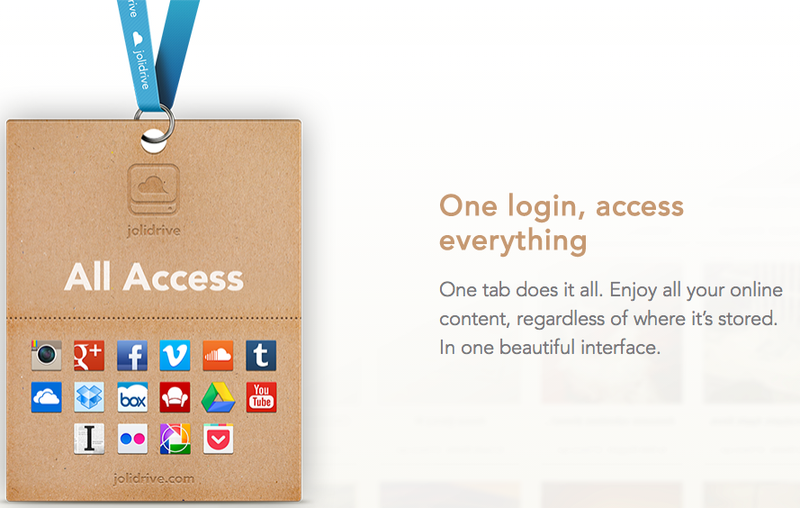 Access Multiple Cloud Storage Sites Using Jolidrive | Brand On! Are you using more than one cloud-based storage service? Wouldn’t it be nice to access them all from one dashboard? That is exactly what Jolidrive does. It connects to every service you use, from Dropbox to Google Drive, Flickr, Instagram, Box, YouTube and many more. It then brings all your content together into one interface that you can access from any device. Once you connect your various accounts, Jolidrive can find any file regardless of where it is stored. Jolidrive also features tools to view photos, play videos and edit documents. You can read articles saved in Pocket and use Exfm as a virtual jukebox.